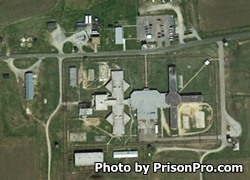 Odom Correctional Institution is a minimum security prison located in Jackson North Carolina, part of Northampton County. The current capacity of Odom Correctional Institution is 352 adult males. Inmates at this facility have committed either a misdemeanor or a felony. Select offenders can work in a variety of job placements within the facility in custodial, maintenance and food preparation/serving. These support jobs filled by inmates save the tax payers thousand of dollars each year. Inmates in the East wing are held in cells, while inmates in the West wing are housed in a dormitory setting. Odom Correctional Institution offers inmates academic courses to earn a GED and obtain an adult basic education. Additionally, Roanoke-Chowan Community College has provided vocational courses in HVAC, plumbing, and various construction trades. During an inmate's incarceration they are provided mental health services and medical and dental treatment. Visiting at Odom Correctional Institution is by appointment only. All visits must be schedules in advance by calling (252)-574-2066 between 8am-3:30pm Tuesday through Friday.